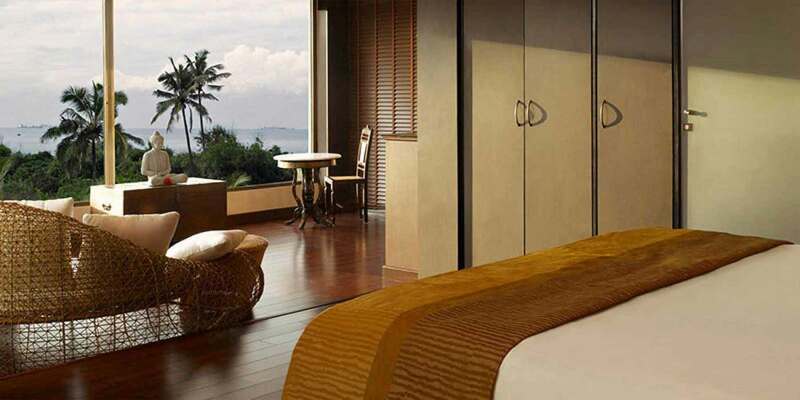 Situated amidst tropical gardens, the spacious 400 square foot courtyard rooms cater to your comfort to the fullest. Crated with traditional designer furniture, heavenly sleep mattress, four fixture bathrooms with a tub and hedonistic rain shower is ideal for couples. Special features include elegant marble floors, king size bed, LCD screen television, well stocked mini bar, bathtub and a luxurious stone clad shower pod. Large elegant wooden wardrobes with an electronic safe assure safety of your valuables. A sleek work desk with a chair and lamp and broadband connectivity is amongst others.